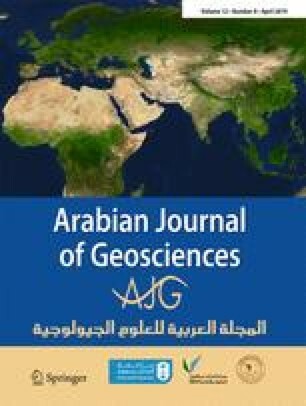 In order to better understand the mechanism behind the poor stability of support and surrounding rocks at mechanized working faces with increased mining height (MWMH), a conceptual model of the support and rocks surrounding the MWMH, under different structural conditions of the main roof, is established in this study. On the basis of the mechanical model, the interaction among the coal wall, support and roof in MWMH is studied. The analytical analysis reveals that the coal wall and support interact more significantly in the MWMH than conventional approaches (e.g., conventional longwall mining). With the increase in the depth of rib spalling in coal wall, the support strength, needed to control the roof, increases linearly. While as the support strength increases, the depth of rib spalling in coal wall showed a hyperbolic-like decrease. Based on these results, the expression, which describes the relationship of the interaction between the rib spalling in coal wall and support strength in the MWMH, is proposed. Rib spalling is then controlled in real working face in a soft, thick coal seam. The field experiment demonstrates that the advanced long-hole hydrostatic pre-injection can control rib spalling in coal wall and guarantee the stability of support and surrounding rock, which enables a high-efficiency mining of the MWMH. This work was supported and financed by the National Natural Science Foundation of China (Grant Nos. 51174192, 51604214, 51604212) and the Shaanxi Province Natural Science Foundation (Grant No. 2017JM5115).